Dean Brownlie's triple hundred was the highlight of a high-scoring draw at Pukekura Park, from which Northern Districts picked up six points for their first-innings lead over Central Districts. Brownlie sprinted to 334 from 398 balls, hitting 40 fours and eight sixes, as Northern Districts declared on 556 for 9 after being sent in to bat. 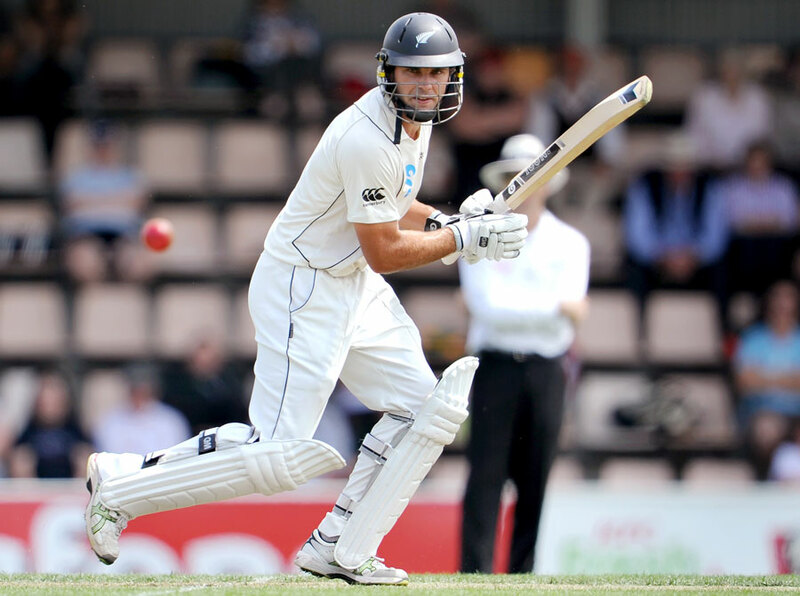 Brownlie's innings was the first triple-century by a Northern Districts player and the fifth in the history of New Zealand's first-class competition. He scored his first 222 runs on the first day. Brownlie apart, the top order failed as Northern Districts slipped to 165 for 4. Brownlie then added 85 for the fifth wicket with BJ Watling and 217 for the sixth with Mitchell Santner, who made 101 from 171 balls. For Central Districts, left-arm spinners Ajaz Patel and George Worker picked up two wickets each. Greg Hay led Central Districts' response with a 381-ball 157, assisted by half-centuries from Tom Bruce and Doug Bracewell, but Northern Districts kept chipping away the wickets - Scott Kuggeleijn picking up three - to bowl them out six runs short of the follow-on mark. By the end of the third day, Central Districts were in deep trouble at 17 for 2, still 138 runs away from avoiding innings defeat. The run-out dismissal of Will Young made it 49 for 3, before Hay and Bruce came to their rescue once again, putting on 144 for the fourth wicket in 41 overs. Hay fell for 80 but Bruce carried on batting for a further 13.3 overs before he was out for 94. Kruger van Wyk and Kieran Noema-Barnett then made unbeaten 20s to seal the draw and three points.